Okay, I’ll admit it. For me, the holidays are traditionally all about the cookies. So many of my holiday memories are centered around the kitchen – baking our family Minty ‘Wiches with my mom, grandma, aunts, and cousins, or teaching my sister how easy it is to use a bag and tip or even Wilton’s Cookie Icing to decorate rolled out sugar cookies. But, this year, I decided it was time to give cake the attention it still deserves in December, and to use one of my new favorite decorating techniques – hand painting! When I first started hand painting on cakes, it seemed like SUCH an intimidating decorating technique. I can’t draw to save my life – how on earth was I supposed to PAINT something?! That’s why this hand-painted Christmas Tree cake is a perfect design for me (and other naysayers out there). And, this particular design uses two separate painting techniques, which will impress your family and friends even more. First, I painted my bottom border using a combination of Gold Pearl Dust and Lemon Extract. To make your paint, mix equal parts of pearl dust and lemon extract in your Candy Melting Tray (which makes the perfect paint palette!). The lemon extract evaporates very quickly, so sometimes I also like to pour some extra lemon extract into a second cavity so I can add it to my paint as needed. Make sure to get the top of your border! You can use a large flat brush for the large areas of the border, but I recommend a smaller round brush for the top. Next comes the fun part – mixing your colors! This is where you can let your creativity really shine. You may want to play around with different colors and color combinations before making your final decision. I always like to paint each color option onto a scrap piece of fondant so I know what it will look like on my cake. You can see here I tested out straight icing color, icing color mixed with lemon extract, and icing color mixed with a bit of White White Icing Color. You will always want to mix your colors with lemon extract – this will help the color show up better, and will ensure that the color dries on your cake. If you do not mix your colors with the lemon extract, the icing color will not dry entirely, and will stay a bit tacky. Mixing in a bit of White White Icing Color can also be beautiful, as it not only lightens up your icing color, but also makes it more opaque. For this particular cake, I decided on straight Juniper Green icing color mixed with lemon extract, which gave me the dark Christmas Tree look I was going for. Now for the painting! The first time you paint a cake, it may be a bit scary, so you can always practice on your scrap fondant until you feel comfortable enough to paint your design on your cake. For this Christmas Tree, I knew I wanted to first start with a straight, thin line to serve as my trunk, but also as my guide for the rest of the tree. I would then finish the tree up with some snow, Christmas lights, and of course a star on top. I used the thinnest brush I had for the trunk, an angled flat brush for the tree branches and snow, and the tip of a pointy brush for the lights. The best way I have found to mix my paint is to put your icing color in one cavity of your tray and lemon extract in a separate cavity. You can then dip your paintbrush in each cavity until you reach the consistency and translucence that feels right to you. I started with a thin vertical line, which was my guide for building out the rest of my tree. It doesn’t have to be perfect (you can tell mine is not! ), since you will be covering it. Next, I took my flat angled brush, oriented it horizontally, and dabbed the paintbrush onto the cake, making many small, individual paint marks. I started at the bottom of the tree and worked my way up until I filled out the cake to my liking. It is always better to start out sparsely, and then fill in as needed – it is much easier to add paint than it is to take it away! Finally, I used that same flat angled brush and White White Icing Color to add snow to the branches in a random pattern. To finish up my cake, I used the very tip of a pointy brush to add small dots of color all over the tree. These don’t have to be perfect circles – instead it looks almost prettier when they have rough edges, because it looks like the lights are shining through the tree branches and the snow. Finally, I went back to my Gold Dust and Lemon Extract mixture to add the finishing touch – a shimmering star on top of my tree! I could not believe how quick and easy this was, and now I can’t wait to use this technique on my other Christmas treats. How lovely would these hand-painted Christmas trees be on round royal iced sugar cookies?! I can’t wait to hear what you think of this technique and how you apply it to your Christmas treats this year! For more Christmas treat decorating inspiration, please visit our Christmas Celebration page. Beautiful cake Claire! Simple – yet stunning. Thanks for the demo, Merry Christmas!! Wow! What a treat and inspiration. Thank you. In case one needs immediate relief from extra weight, one can take v3 diet pills and lose up to 5 pounds in a week. Undocumented case histories, testimonials, or claims by consumers and doctors about amazing results. Quick question: If you use the white-white icing color do you still use the extract? And does it have to be lemon extract? Does this method also work on buttercream frosting? You mentioned mixing the gel icing color with white white to make it brighter and more opaque.. Would doing so make it bright/opaque enough for it to show up on dark/black icing? 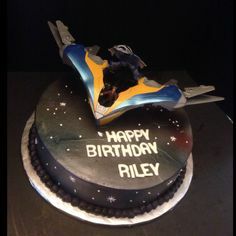 I want to make a galaxy cake for my son but I don’t have an air brush. I was hoping there would be a way to dab on the colors but I’m not finding anything when I try to Google it. For example, I’m trying to make something similar to this (maybe a little brighter) and yes, I know this was most likely airbrushed; I’m just trying to see if there is a different method that will achieve similar results..